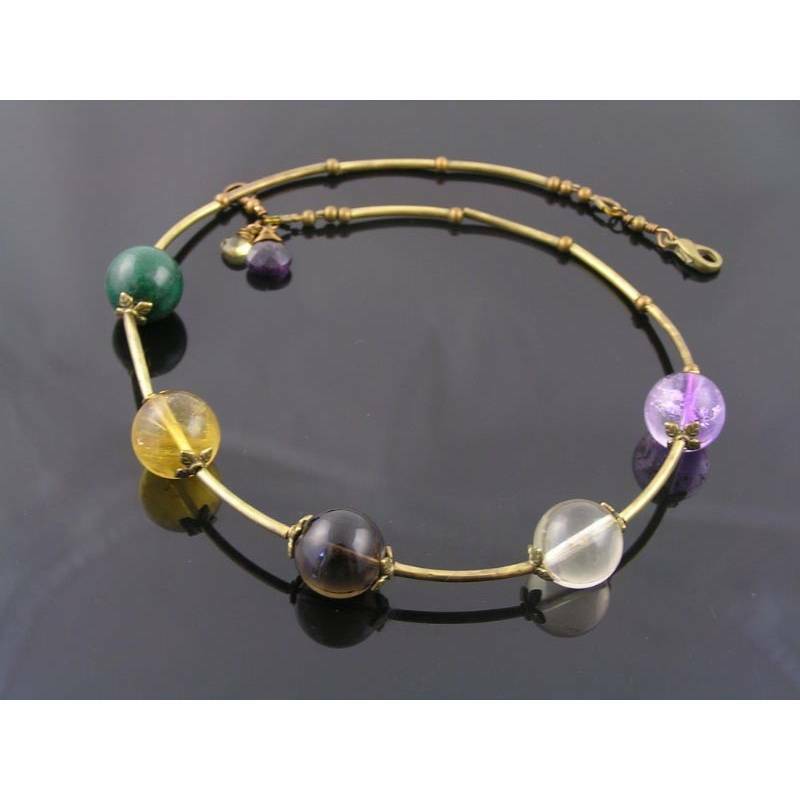 These beads are strung onto multi-strand jewellery wire. 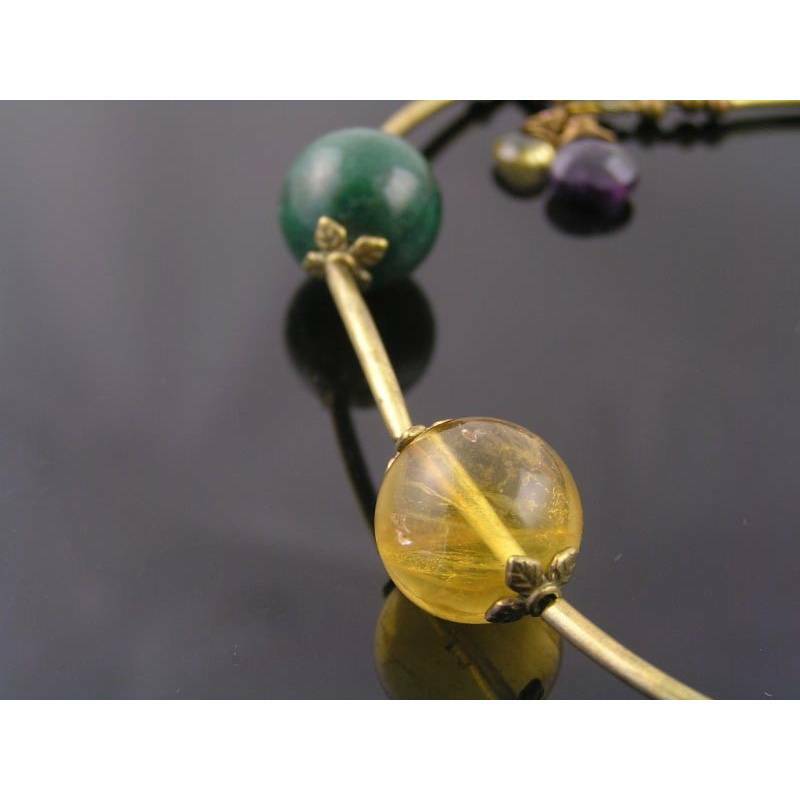 Each gemstone is framed with little leaf bead casp. 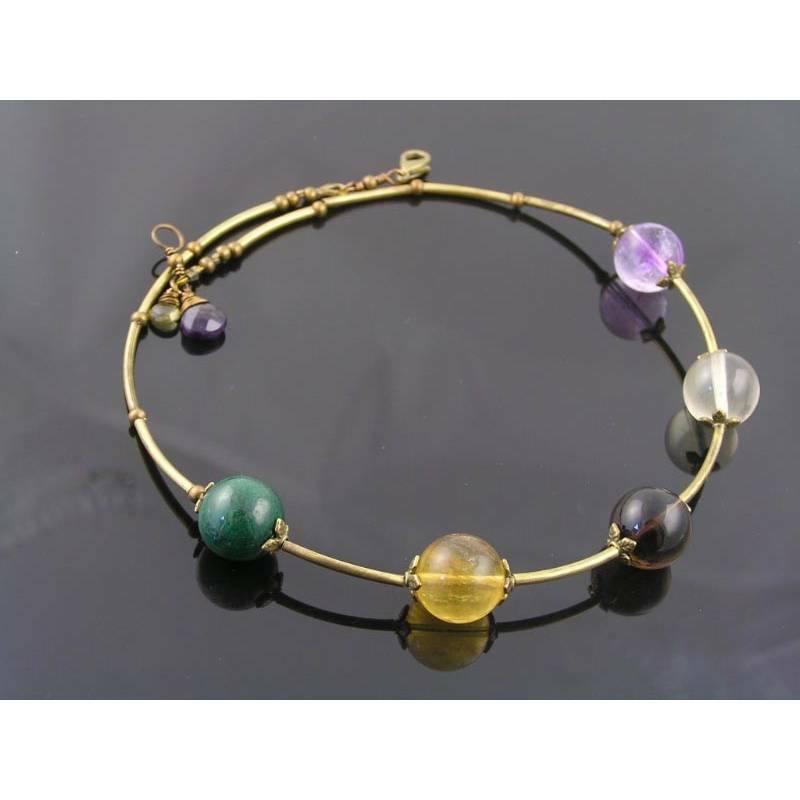 Slim metal tubes make up the rest of the necklace and the space between the beads. Gemstones are: mountain jade, citrine, smokey quartz, lemon quartz and amethyst. 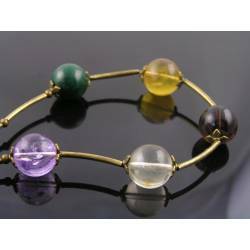 The beads measure 14mm in diameter. I chose this size because it is not too bulky or heavy yet makes for a chunky statement piece. 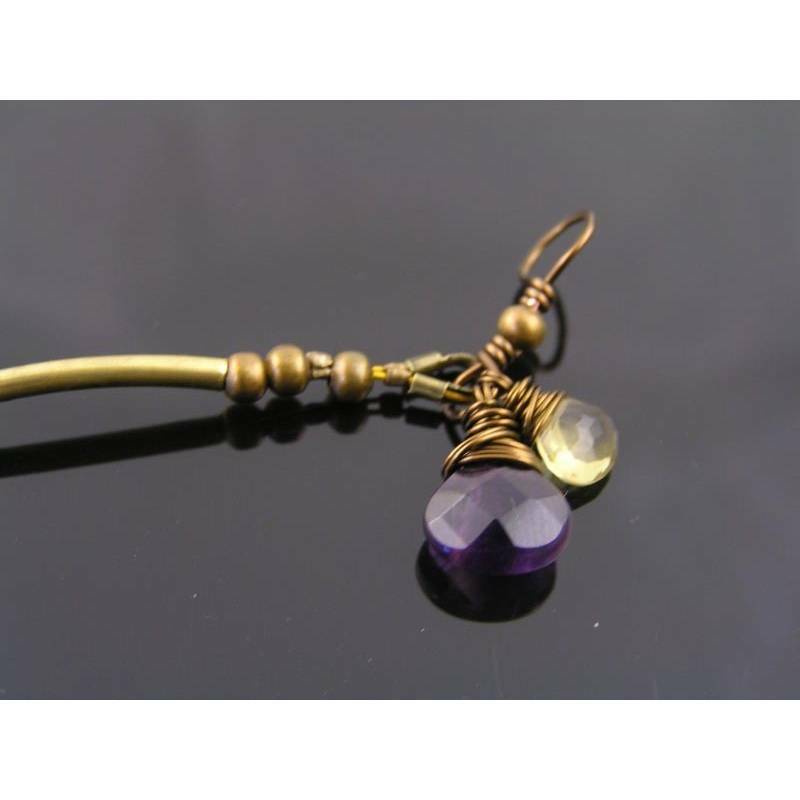 The necklace closes with a lobster claw clasp with a wire wrapped amethyst and peridot right opposite of the clasp. Total length of the necklace is 41cm, all metal is antique bronze finished.